Samsung has already confirmed that the Galaxy Note 7 is dead and anyone in possession of the handset can get a refund. If you somehow bought a used version of the handset from different marketplaces, you’re not left out either. Exchange of the used Galaxy Note 7 is possible, all you have to do is contact the Korean company about it. 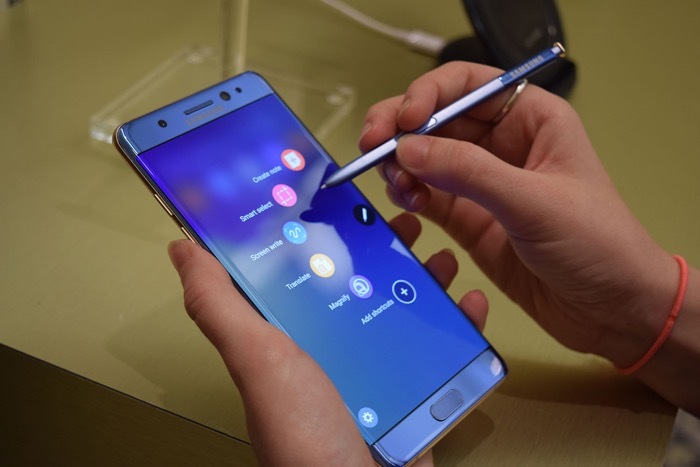 Any customer who bought a Note7 [used] should contact us directly at 1-844-365-6197 to exchange their device. We are working as quickly as possible to make the service experience for our customers as quick and smooth as possible and we are grateful to our Note7 customers for their patience during this time. Rather than trying to track down the original owner of the device, all you have to do is get in touch with Samsung on 1-844-365-6197 and exchange the Galaxy Note 7 for a Galaxy S7 or Galaxy S7 edge, a campaign the company started when the Note 7 problem first came up. This is the right move and will definitely help the company maintain its reputation.